Welcome to September, Haymeadow residents! Fall begins this month which means it&apos;s that time of year for Pumpkin-spiced everything, caramel apples, and jumping piles of leaves! 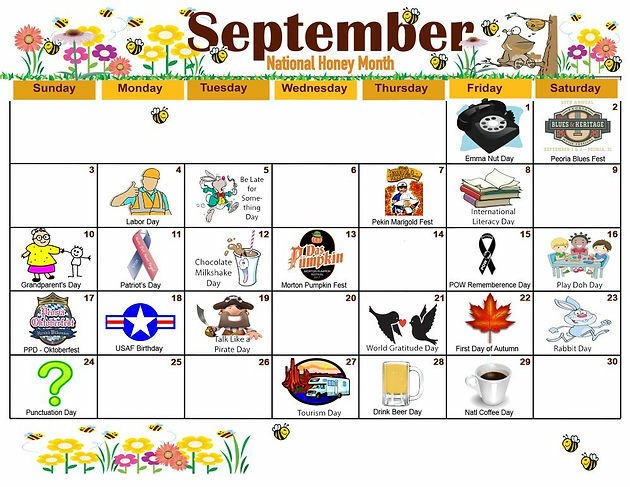 Be sure to check out The Haymeadow Apts September Calendar of events and keep a copy handy so you can tell friends it&apos;s National Honey Month! (yeah, we don&apos;t know why you&apos;d tell them either) Or so you can know at a glance when Emma Nut Day is or when Peoria Oktoberfest is! You can also visit Peoria-Apartments.com/calendar to see an electronic version too. So, from local events, to holidays (National and obscure) keep up to date with the Haymeadows Calendar of Events!